Gas boilers heating - devices that transmit heat carrierenergy which arises during the combustion of fuel. 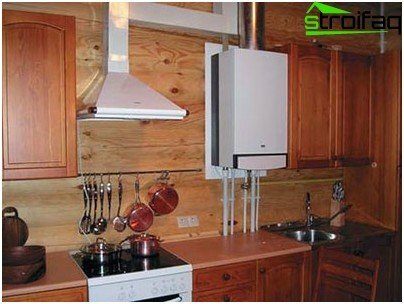 The boiler can be called the heart of the heating system and the main means of serving for heating apartments and houses. There are several types of heating boilers, but gas - the most common, because it is a reliable and economical way to create comfort in your home. Gas boilers are considered to be by far the most popular equipment used where the paved highway gas pipeline. gas-fired boilers are easy to use, have high efficiency and are designed for long life. requires installation of automation in control of the gas leak. Classification of gas boilers for heating vast. 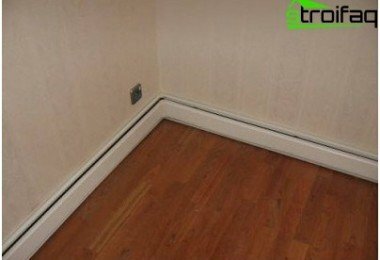 According to the type of accommodation they are wall and floor. This type of heating equipment appearedrelatively recently, but he has already managed to gain a lot of fans. 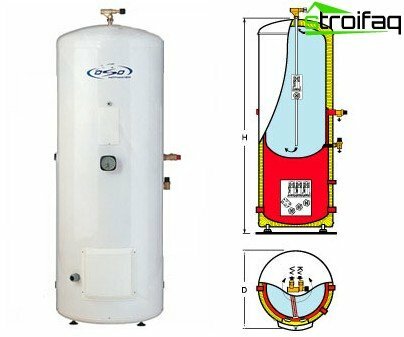 Gas heating boiler wall type is also called a mini-boiler. This is no accident: in a small body hides not only the heat exchanger, the burner and the control unit, and circulation pumps, security, expansion tank, a thermometer, a pressure gauge and other components. Given that these boilers absorbed all the bestadvanced technology, their cost is much lower compared with floor counterparts. Another significant advantage - the ease of installation. Many buyers think that ease of installation - a characteristic that should interest only installers. This is a big misconception. After all, the amount you will have to pay for the boiler installation with components mounted separately, it will be quite substantial. The compactness, the ability to organically fit into the interior of gas boiler - another advantage of wall installations. By way of conclusion the exhaust gas boilersdivided into samples with forced and natural draft. In the first case the removal of decay products occurs with the help of built-in fan in the second - at the expense of chimney draft. Most boiler manufacturers produce both first and second type. Boilers, natural draft familiar to many: the chimney above the roof is hardly able to surprise. But the forced draft boilers can be called a novelty, for they were not so long ago. 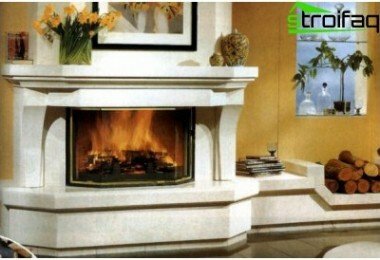 Such models are good for rooms without a chimney, ie waste material output through the coaxial chimney, which you want to make a hole in the wall. This need to know! Coaxial chimney is also called "pipe in pipe". In the inner tube are displayed on the outside of the combustion products, and foreign - supplied air. Boilers with forced draft does not require inflowsfresh air for combustion, do not burn oxygen from the room and allow you to save on installation. By type of ignition boiler wall are divided into electrical and pezorozzhigom. The first - more economical, because igniter with a continuously burning flame is absent, thus reducing gas consumption. Another advantage - automatic resumption of failures in the power supply, while the model with pezorozzhigom need to be enabled manually. According to the burner type wall-hung boilers are divided intoconventional and modulation burner. This burner provides an economical mode, as Boiler according to heat requirement regulates power independently. This need to know! 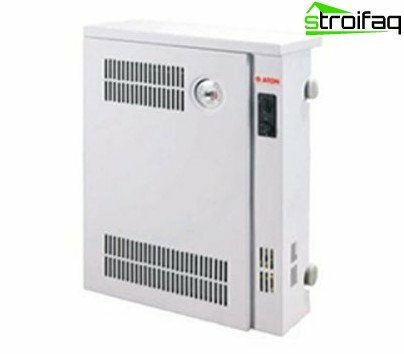 Modulation burner will provide the most comfortable conditions in the heating mode (hot water), keeping the water temperature at a given level. In most cases, wall-mounted gas boilersequipped with devices ensuring safe operation. Present sensor in contact with a flame of fire off the supply of fuel, blocking the thermostat switches off the boiler when the temperature rises an emergency, a special device blocks the installation of a gas at a power failure, etc. 1. 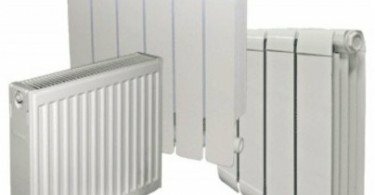 Creating individual heating systems in cottages and country houses. Power devices ranging from 12-42 kW, which means that the range of facilities that might heat efficiently, fairly broad (50-400 m2). 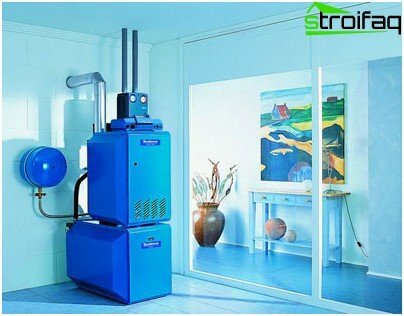 Easy to install, low cost and small size - factors that contribute to an increase in the popularity of such boilers. 2. The door-heating in multi-storey buildings. Having your boiler, the owner decides for himself when and what temperature should be created. Now the situation when heating include ahead of time, or, conversely, too late, not terrible. Floor-standing gas boiler - Traditionaldevice does not experience drastic changes for many years. The heat exchanger is usually made of steel or cast iron. The debate about what kind of material is best not to stop, perhaps never. On one hand, iron is less corrosion resistant heat exchanger, but it is fragile, and therefore the risk of cracks during handling and transportation is quite large. Furthermore, when used with hard water over time is the destruction of the heat exchanger. Steel boilers are much easier to iron, but if the improper operation may cause corrosion. This need to know! By and large, to create the right conditions for steel boiler simply. The main thing is to make sure that the temperature did not drop below the "dew point". There are outdoor boilers with forced draft(Replaceable fans) and atmospheric burners. The first - to have a higher efficiency and a higher cost. Second - it is cheaper, and are much quieter. Atmospheric burner is an integral part of the boiler, ie included in the price. Supercharged same burner not supplied andsold separately. The power boiler with atmospheric burner type ranges from 10 to 80 kW, while boilers with burners demonstrate replaceable inflatable power of several thousand kW. This allows each user to select an optimal heating option. 1. Simplification of the boiler control system due to lack of means of automation. 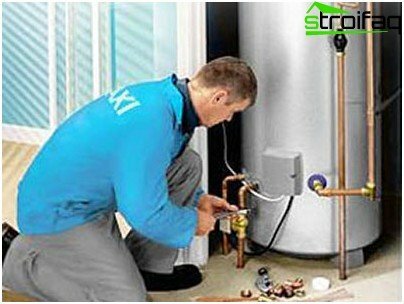 In this situation, the boiler will only be able to maintain the water temperature, not focusing on the room temperature. 2. The use of the heat generator, produces electricity required for the operation of automation, from the heat. As the functionality of all boilers are divided into single-circuit and double-circuit. Gas boiler single-loop (single-stage)only heats the water in the heating system. 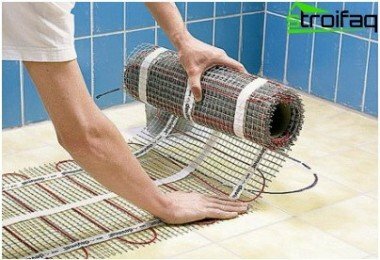 To use a boiler for hot water, you should purchase a boiler of indirect heating. Buying boiler, please note that the volume of the chamber must correspond to the number of residents in the house. Gas boiler Turbofan (two-stage) is more functional and is equipped with an additional built-in hot water burner. This boiler is at the same time and to produce hot water and heating. This need to know! Although the cost of a bypass of the boiler is less than the total price of the boiler and the boiler single-circuit, ensure comfortable use of hot water for more than three tenants he is unable to. Turbofan boiler is switched to heatingas soon as you open the tap in the bathroom. When the valves are closed, the water cools down. If hot water is not used for several hours, then when you open the tap of it will flow cold water. The greater the distance between the point of abstraction and the boiler, and the larger the diameter of the pipe, connecting them, the longer we have to wait for a change of cold water to warm, and therefore, the more water will be spent in vain. This need to know! The length of pipe connecting the boiler to the most remote area of ​​the water intake should not exceed 7 meters. It should be noted that such heat exchangerthe boiler is particularly susceptible to scale formation due to the deposition of mineral compounds. Scale makes it difficult to heat, and this leads to a decrease in productivity of the water heater and spending more fuel. 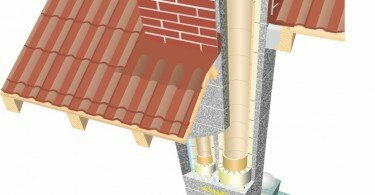 By way of taps combustion boilersheating combi are chimney (output decay products through a pipe), condensation (condensate is removed through the chimney, which requires complete sealing) and turbocharged (chimney is equipped with a fan). The question is, how to choose a gas boiler, excites many. I want to buy reliable and quality equipment that will last for years. You can, of course, set in the search for the "best gas boilers" or "gas boilers: reviews", but it is unlikely to solve the problem. Choosing a gas boiler - a process that requires an individual approach. Primary attention should be paid to the power that you want to obtain from the boiler. 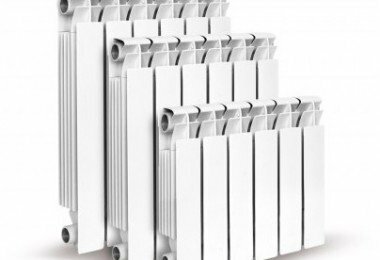 This value lay with a focus on the most energy-intensive consumers of heat - the heating system. This need to know! To determine the capacity, you can use the simple relation: to heat 10 m2 should be 1 kW of power. 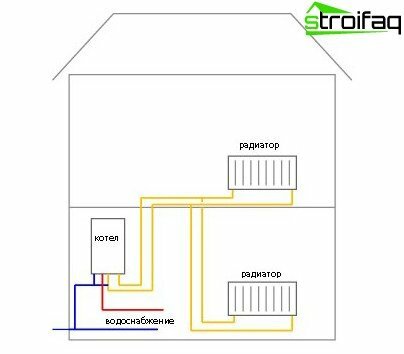 For example, a private house area of ​​300 m2, it means that you need a boiler capacity not less than 30 kW. You want to get hot water withheating? Choose the wall hung gas boiler, which is inexpensive and easily installed. You do not want to service the year? Then look at the floor boilers. It is, of course, more expensive, but the annual inspection, as opposed to the wall, does not require. Speaking of producers, it should be noted thatchoice, of course, up to you. 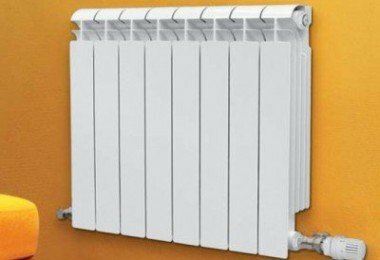 We can only say that domestic firms do a good job with the release of high-quality heating equipment, which is the functional nothing from foreign-made boilers is different, and is, among other things, an order of magnitude cheaper. The heat in the house - an important component of comfort andcomfort, so the choice of a gas boiler (the most profitable to date heating means) requires competent and responsible approach. Weigh all the "pros" and against ", and then go shopping. If, however, you do not leave a doubt, refer to specialists, who will provide you with the best option.